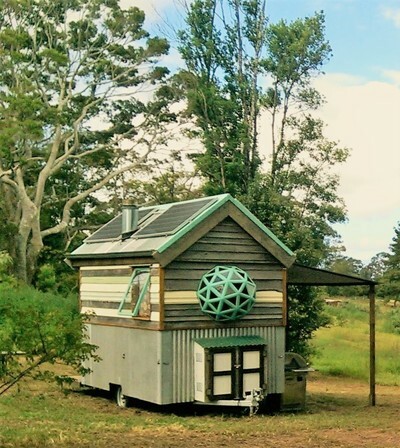 The Woodbutcher's Tiny House is now available on Air bnb (click here), providing guests with a unique off the grid tiny house experience. 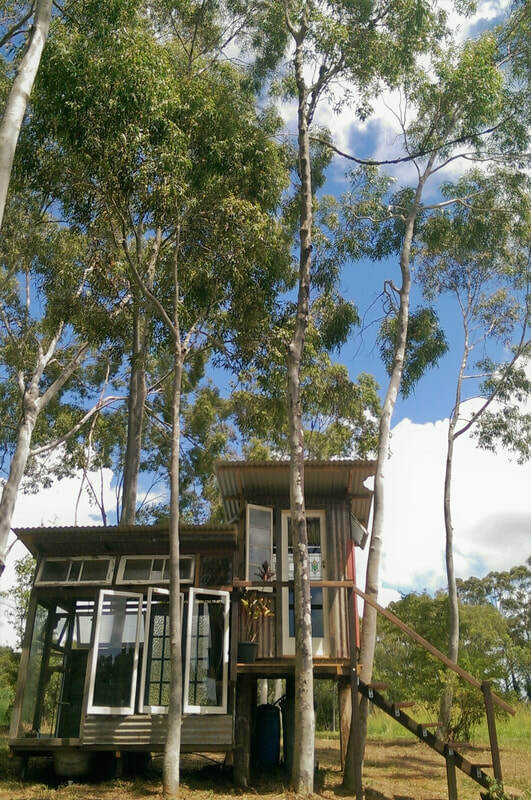 The house is located on an organic farm in Newrybar, the perfect central location within the Byron Bay Hinterland, located just a stones throw away Byron, Bangalow and the regions best beaches (see map below). Guests at the tiny house also get exclusive use of a recently completed luxury bath house and tree-house compost toilet as pictured above, also made from recycled materials. 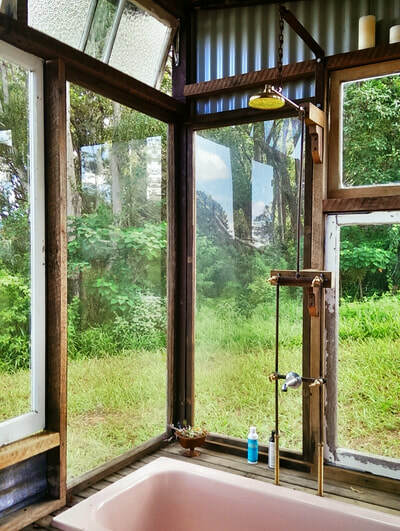 Enjoy a hot or cold bath with uninterrupted views of the forest. Click HERE if you would like to see more detailed information, or book a stay in the tiny house.